A watermark is a still image that is usually plugged in the videos, for the purpose of claiming copyrights or publicity purpose. YouTube generally carries a "branding" option where you can brand your video with your channel. This doesn't provide a stable watermark. Therefore, when someone downloads that video using a second party (YouTube downloader) it gets removed. For this purpose the legal author will have to put a Channel watemark on their YouTube videos. In this guide, we will show you how to add watermark to your YouTube videos, existing or new. To add a watermark to your previously uploaded videos you will need to have created and saved your watermark outside of your video editing program. This will lead you to setting center. Click on "view additional features"
To the left of the window, Click the third option of "branding"
Click on "add watermark". Then you can choose an image from your computer. After your image is uploaded, click save. YouTube watermark size: Your watermark should be transparent, square, and larger than 50x50 pixels, which is the size it will be shrunk down to when it appears in the corner of your videos. YouTube watermark starting time: you will have the option of choosing a start time for your watermark, making it appear only at the end of your video, or having it there for the entire length of your video. Once that is done click ‘Update’ and your watermark will be applied to your videos. YouTube watermark color: Youtube suggests that your watermark have only one color. The point is that you should not use anything flashy that will take attention away from your video, so having two or three colors is not necessarily wrong if your design is subtle. Wondershare Filmora which is one of the ideal video editing tools especially when it comes to watermarking your videos. It helps you in adding static and video watermarks over the video. The basic theme of the video watermarking is the concept of picture-in-picture. Windows movie maker is free default windows software which can easily add water mark to your videos to secure your copyrights. It can cater two types of watermarks; images and text. For images it just supports PNG and GIF format files and generally doesn't support transparency. Moreover, an external file, Windows Logo Locator is needed for placing the logo at different positions. Click on 'videos' under the title of import. Import your video to the timeline. Right beneath imports under the category of edit you will find ‘titles and credits'. Click. Choose the title positioning, font and transparency. Add title. You will find it along the length of timeline. You may drag to expand it, for viewing it during the entire videos length. Select file and click publish video. The image should be in .PNG or .GIF format. Save the image in >C:\Program Files\Movie Maker\Shared\AddOnTFX\. Download a logo Locator as per your installed windows from FX archives. Select the location of the logo in your video where you want it to appear. Copy the text that appears underneath and paste it on the notepad and save the typed file in >C:\Program Files\Movie Maker\Shared\AddOnTFX\. Open windows movie maker again. Choose title and credits underneath the edit category. Press space bar once and then click ‘change the title animation'. You will see your image there. Click on ad title and press Ctrl+p to publish. Do you want to make a transparent image as logo for your YouTube? If you want to brand your YouTube channel, we believe it is a must to add transparent logo for YouTube branding. Actually, you can do this in Filmora9 just with a green screen image. Check the steps below to know the secret. Open Filmora9. Choose Create New Project. Click import media files here in Media library. Select your video and a green screen image. In fact, a green screen video is also accessable, but usually brand logo is image. Now drag them onto timeline. 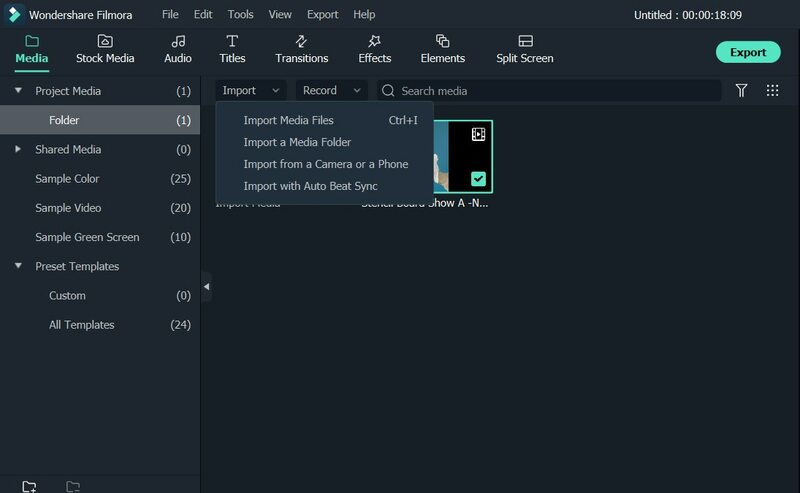 Right click on the image clip in the timeline. Choose Green Screen. You will see the image is transparent in the preview window. Now, you need to adjust some details. You can adjust edge thickness and edge feather to better edge. If the green screen background is not totally removed, drag tolerance to adjust it. You can clip the image clip first and go to preview window to scale it down or up by dragging the green dot. You can put the YouTube logo at corner.